Join our intellectual and collaborative community of scholars. 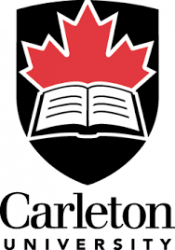 Carleton University is a dynamic and innovative research and teaching institution with a national and international reputation as a leader in collaborative teaching and learning, research and governance. To learn more about our University and the City of Ottawa, please visit www.carleton.ca/provost. Carleton University is strongly committed to fostering diversity within its community as a source of excellence, cultural enrichment, and social strength. We welcome those who would contribute to the further diversification of our University including, but not limited to: women; visible minorities; First Nations, Inuit and Métis peoples; persons with disabilities; and persons of any sexual orientation or gender identity and expressions. Applicants selected for an interview are asked to contact the Chair of the Search Committee as soon as possible to discuss any accommodation requirements. Arrangements will be made in a timely manner.